Perpetual learning embraces the idea that every moment presents an opportunity to create new knowledge or build on existing skills. How do you embrace this approach when faced with a limited budget, and a changing job market? Guest blogger Jenny Holt explores how training courses provide a potential solution. In the traditional model of education and training, students learn from professors by physically attending classes at specified times. Not only is this quite expensive, but it is also difficult to find customized solutions that allow the unemployed person to see to their job searching and family responsibilities. Fortunately, due to technological advances in education, online training has become a viable option for those who remain unemployed following the Great Recession. Now, hundreds of nonprofits, and dozens of for-profit institutions, are providing high-quality, low-cost education over the internet. Take the University of Phoenix for example; they have offered courses online for over two decades. Western Governors University now offers 58 accredited degrees entirely online at a fraction of the cost of a traditional education. Both universities were designed to help working adults seeking to advance their studies. There are also non-degree offerings available for students who want to learn a skill or just brush up. Udacity is an example of this. When Stanford professor Sebastian Thrun left his position at Stanford to start the online school, his goal was to provide college-level courses in math, technology, and engineering to fill in a gap he saw occurring in the economy. Since founding the platform in 2012, over 750,000 students worldwide have enrolled in the school’s courses. Some traditional universities even recognize Udacity courses for credit. StraighterLine is another program that offers college-level courses partnering with accredited schools. Want a Free Ivy League Education? 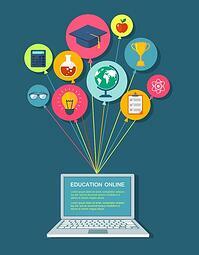 Even the most elite institutions of higher learning have begun offering online courses. MIT, Massachusetts Institute of Technology, UC Berkeley, as well as the University of Texas, have formed partnerships with the online learning platform, edX—to provide online courses. Coursera, a similar website, has partnerships with 30 accredited colleges and universities including Ivy League schools like Princeton, Stanford, and Columbia. Since it launched in 2012, Coursera has enrolled 1.8 million. All applicants are accepted to both edX and Coursera, with no previous educational background, and all courses are offered free of charge. Khan Academy is known for offering thousands of elementary through high school grade level video-based classes. Schools across the nation have started incorporating courses from Khan Academy into their curriculum. The internet has provided many large corporations a platform for providing vocational training as well. For example, Microsoft Certifications is available for information technology professionals, looking to advance their skills. A fee is required in some instances. For those interested in learning the ins and outs of SEO and Google Analytics, there is the online Conversion University. There are many low-cost and free coding academies as well. Programs like those offered by Innovation Depot, have begun free community training for those wishing to enter the IT industry. Whether the unemployed job seeker is seeking a high-quality education or just wants to take a course to upgrade their skills, there are more affordable opportunities than ever. Consider that one semester at Western Governors University online costs fewer than $3,000. At StraighterLine, a student can complete their entire freshman year for under $1,000. But it's not just the cost and availability that have improved; the new platforms allow students to study at their own pace and take only the courses and curriculum that fits their precise needs. These are amazing opportunities for unemployed Americans looking to become more competitive in the job market.